The ERK or "Emergency Rescue Knife" has been carefully designed as a tool to save lives and combines with a belt cutter and a glass breaker, two tools that can be indispensable in a crisis. The spearpoint blade features serration along the rear third of the blade which is perfect for cutting cables and ropes whilst the spear point is made from durable 440C grade steel which stays sharp, even after repeated use. 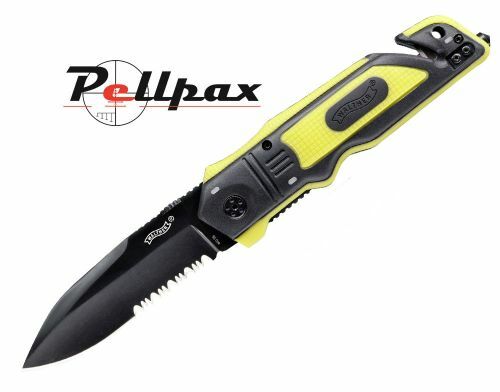 Comes complete with rugged nylon sheath. Available in either black or yellow.